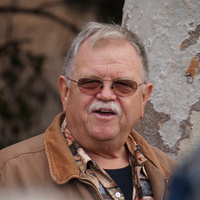 Join Warren Roberts, superintendent emeritus of the UC Davis Arboretum and Public Garden, famous storyteller and punster, for an always-engaging noontime exploration of winter in the UC Davis Arboretum's gardens and collections. These events are free. Attendees can find free, one-hour parking along Garrod Drive near the Gazebo, in addition there are metered spots in Visitor Parking Lot 55. If neither option is available, a $9 parking pass can be purchased from the parking lot permit kiosk. For questions, call (530) 752-4880.